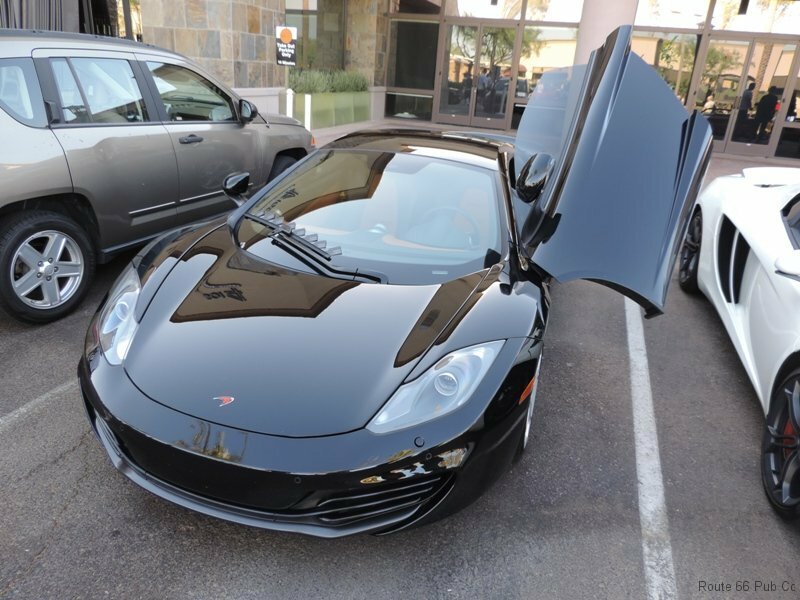 Had a chance to see two McLaren’s side by side at a recent “Cars and Coffee” in Scottsdale, AZ. For my taste these cars are tons nicer than many exotics and technologically miles ahead of their competitors. Here is a link to our article for eBay Motors. 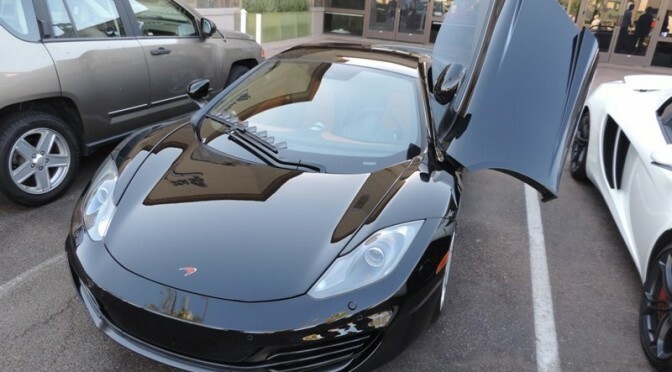 The nomenclature for the McLaren is an interesting story. MP4 stand for McLaren Project 4, which is the chassis designation. The “12” is an index number that McLaren uses to designate the performance of all their cars. 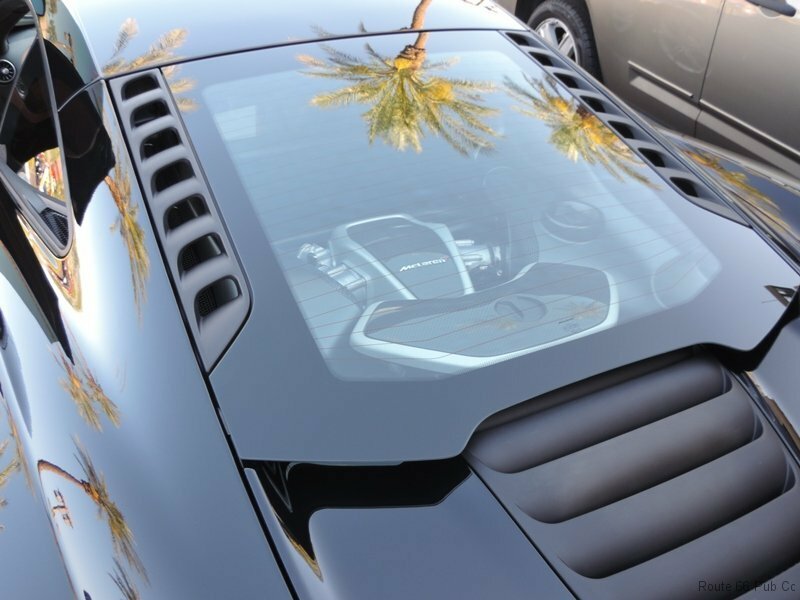 The C represents carbon for all the carbon fiber used throughout the chassis and body areas. The car accelerates from 0-60 MPH in around three seconds and tops out officially at 207 MPH. It is powered by a V8 engine linked to twin turbos. Seeing the rear mounted engine through the transparent car cover is a treat. 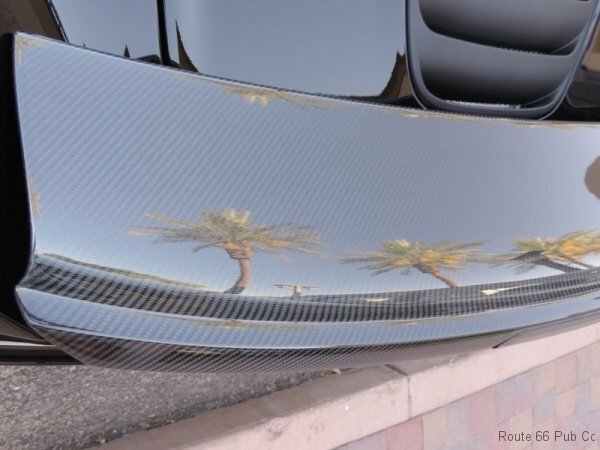 The carbon fiber rear air foil is used in severe braking helping to slow down this powerhouse, plus it just looks darn neat. The gallery shows some additional photos that didn’t make it in to the eBay article.